Whether you own waterfront property, a lot with majestic oaks or a plot of land with unique features, J.A. Long will work with you to design a custom home that highlights and enhances the property features you love. J.A. Long has many examples of custom homes that were built on difficult sites that show real flair when the home is designed specifically for the site. From Fleming Island and Orange Park in Clay County to Fernandina Beach, Amelia Island, Jacksonville Beach or St. Augustine on the coast, we can design your home to fit the aesthetics of your lot. J.A. 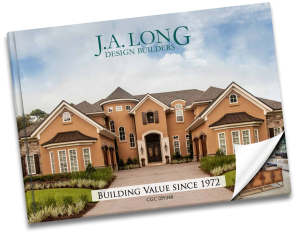 Long is a premier site specific and waterfront master builder serving the Jacksonville real estate market. If you are interested in designing and building a custom home that highlights and enhances the unique features of your property, J.A. Long would love the opportunity to earn your business. We are ready to build on your lot. Request A Free Site Evaluation!